There a bunch of reports coming out about a possible trade or two involving the Winnipeg Jets and the San Jose Sharks. 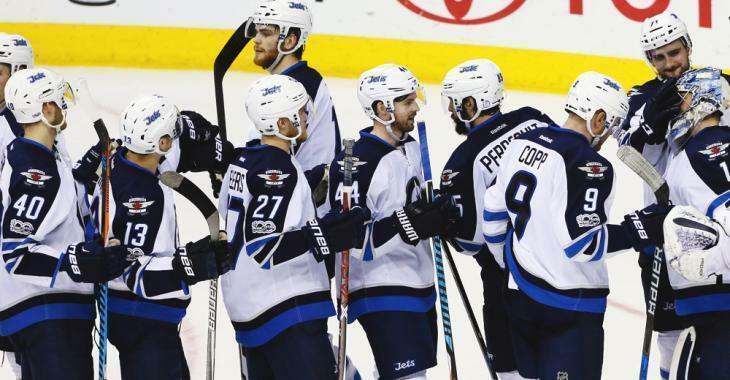 Paul Gackle from the Mercury News has reported that the Jets could be looking for some help on the blue line with Tobias Enstrom sidelined for the next little while. There is talk that one of two prime d-men prospects for the Sharks could be shipped to the Jets. Tim Heed and Joakim Ryan who were both standouts in the AHL last year could possibly be shipped to Winnipeg. It is also reported that Timo Meier could possibly be on the move down the road in exchange for future assets and this could mean that Meier could one day be reunited with former Halifax Mooseheads teammate Nikolaj Ehlers.